Please contact me if you would like something custom created or have a piece that you would like refinished. I would love to work with you and your ideas! Vintage cottage sign made from reclaimed wood. This piece has blue and green undertones with a light cream surface. in black. Antique rubbed. Just what you need to start cottage season on the right foot! 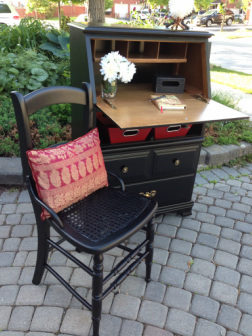 Beautifully refinished Secretary Desk in Rustic Black. This piece has two full drawers and one shelf with baskets. Great open space. Fantastic storage inside the upper writing space with 3 built in shelves for all your paperwork. A must have piece for your small space needs. Would be lovely in and entryway or add it to your cottage décor for extra storage. beach house feel. A great addition to your contemporary decor or cottage and functional too! 100% reclaimed materials used for this piece. A fun statement to make in any surrounding! Home, cottage, office, waiting area, etc! 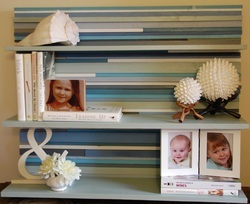 Wood pieces are painted with a two-tone blue/grey colour and white. It is distressed showing the blue/grey underneath the white. The symbol is a plaster relief and painted a barn red colour with distressing showing the blue/grey and white under slightly. Lettering is in black. 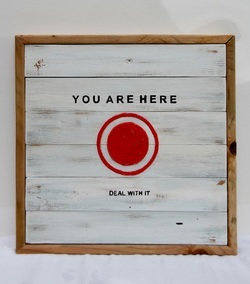 This piece is hand framed in natural aged wood. 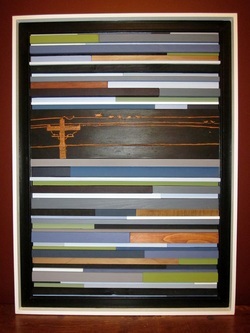 See the Gallery of Wood Art section on this site to view additional pictures of this peice. Contact me for more details and how you can customize this piece! Pretty Vintage Shabby Chic Occasional Table! 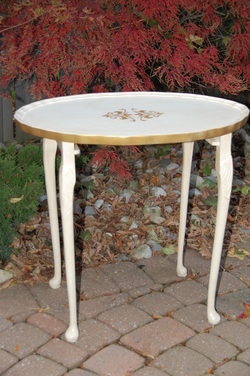 Antique white finish with light distressing, gold accents and hand rubbed wax finish. Fantastic condition as it has just been beautifully refinished. Great little accent piece for any space! 23.5"L X 17.5"W X 22H"
Contact me for more details and pictures! 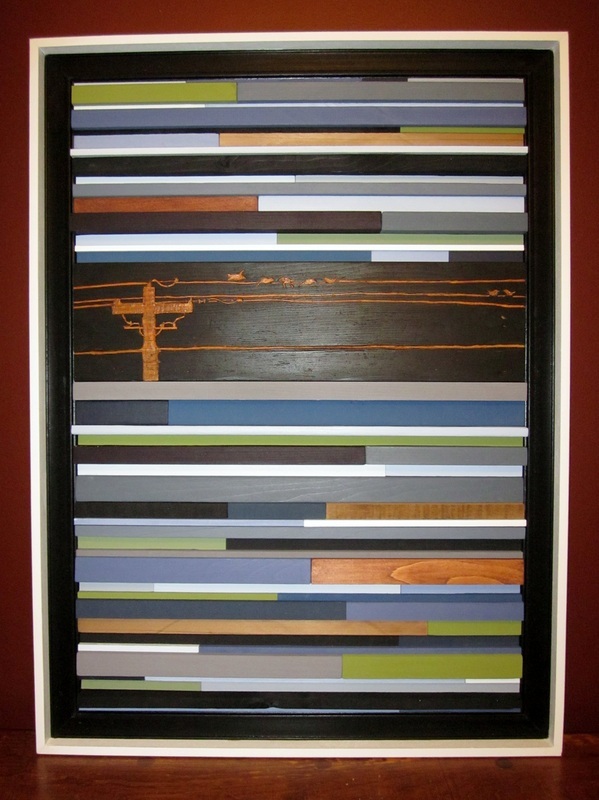 14" X 42" Contemporary Wood Art. Hand made from salvaged/upcycled pieces of wood. Cut, sanded, painted, framed in White and ready to hang. materials. Hand cut, sanded and painted. Double framed in black and white. Mid-section hand carved into the wood. Smokey blues, greys, green, natural wood tones, black and white.